Derek Lam's attitude towards suiting is that it has to somehow exude playfulness. 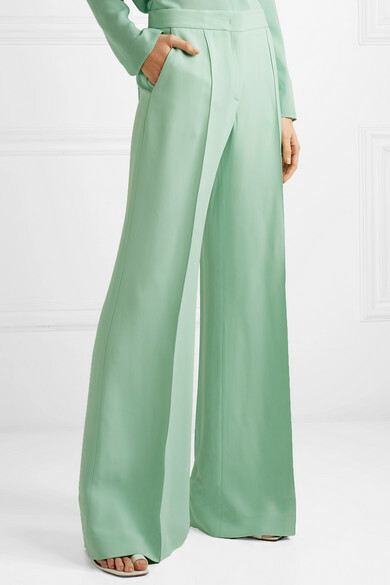 Made from pistachio crepe, these pants are tailored with wide-legs and will sit flatteringly high on your waist. 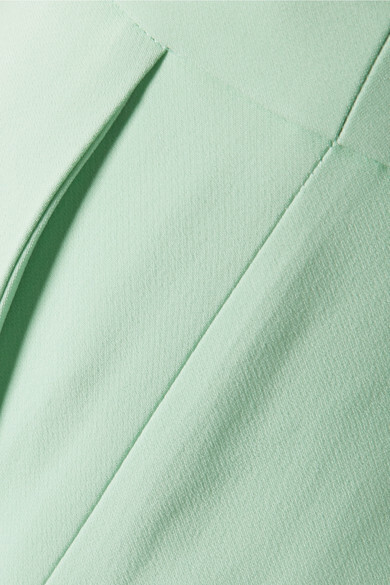 Style them with clashing pastel shades (like lilac) or a ruffled white blouse. 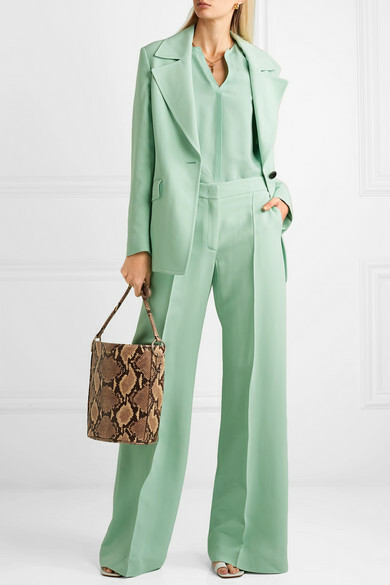 Shown here with: Derek Lam Blazer, Derek Lam Blouse, TL-180 Shoulder bag, Neous Sandals, Sophie Buhai Earrings, Paola Vilas Ring.